I'm going to write in present tense even if the event dates back to May 2007, because its memory is still very fresh in my mind as it always happens with positive experiences in life. It all starts with a visit (in company of my wife that is also very keen on High-End - I know I'm a lucky guy! - ) at the “HE 2007” in New York City. At the show the world High-End elite is present. Our tour begins entering the first available room, the Krell brand one. As usual, they ask me if I'd like to listen to one of my tracks. 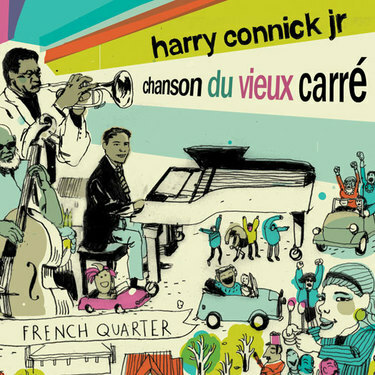 I choose “Chanson du Vieux Carré” by Harry Connick Jr, a tribute CD to instrumentalists and New Orleans music hardly struck by the Hurricane Katrina in 2005. The album contains both well-known standards and unreleased tracks. I select track no 8 “Luscious” and, suddenly, our visit turns into an amusing and emotional exchange between project managers and us. At the first notes silence falls into the room, Mr. Dan D'Agostino and his partner look at each other surprised and smug about how this song keeps the entire system under pressure and takes it to the highest quality standard.At the end of the track they ask me who the artist was and I answer - laughing a bit - “He is a neighbor of yours!” The result is that they take my CD and store it in their pc memory!! In the room there happen to be exhibitors of other brands that challenge me to repeat the experiment in their rooms to test their systems. At the end, the same thing happens: they grab the CD and take note of title and author.I remember some of the illustrious brands we had fun with: Lamm and Metronome, Magico, TAD, Moon and Gershman Audio (their “Black Swan” were amazing!). I had this same experience during other fairs and shows all over the world, especially in Munich so I realized that I had found an album that has the power to unite everyone in a unique musical happening, starting from the newcomer at his first listening up to the very well experienced technical engineer. This album has musical qualities such as instrumental performance, pleasant and easy listening songs and technical traits such as respect of parameters and sound levels, dynamics, tone quality, tridimensional scene and total absence of microphone recording distortion. All these characteristics together create a result of extraordinary realism that only well-reproduced music is able to achieve. So please, listen to it at least once; one of the best big band recording ever. Have a good trip into the sound!